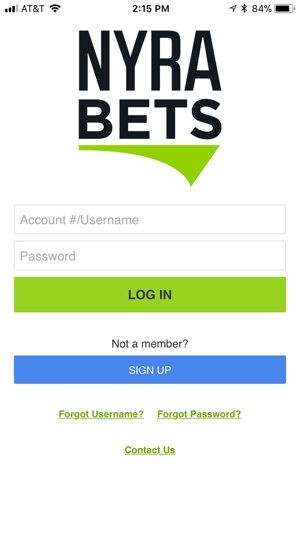 OFFICIAL Betting App of the New York Racing Association! NYRA Bets is the online betting program that brings the best of horse racing across the world right to the palm of your hand. Bet on ANY track, ANYwhere, ANY time. Receive MORE in rewards every day. Download to start winning today! Get rewarded! 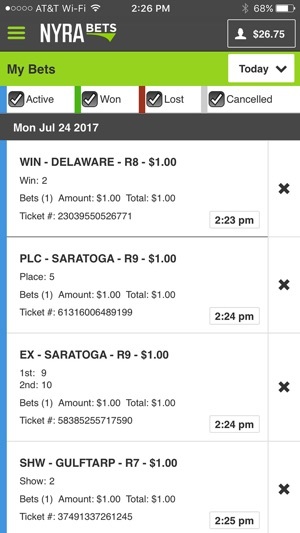 Be a part of the best rewards in racing where NYRA Bets players receive 4 points on every dollar bet on Saratoga, Belmont Park and Aqueduct and 2 points for every dollar bet on all other tracks. Over 150+ tracks including: Bet and watch the best in racing at Saratoga, Belmont Park, Aqueduct, Keeneland, Gulfstream Park, Del Mar, Santa Anita Park, Churchill Downs, Dubai, Royal Ascot, and all of your favorite tracks. Don’t miss out on the world’s best racing events such as the Belmont Stakes, Travers Stakes, Kentucky Derby, Preakness, Breeders’ Cup, Dubai World Cup, Pegasus World Cup, Pacific Classic, Royal Ascot and so much more. 4. PayNearMe at any local 7-Eleven. 6. By mail with a personal check, certified checked or money order. 7. On Track at any NYRA track with cash. 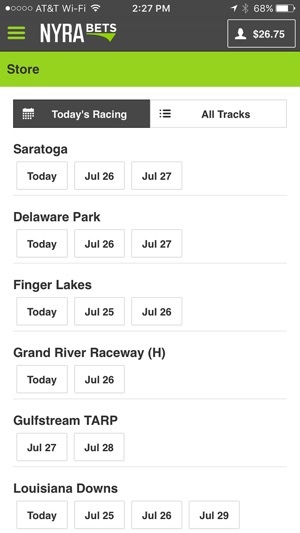 Download the NYRA Bets app to bet today! • Reside in a jurisdiction where pari-mutuel wagering is lawful. NYRA Bets encourages responsibility in gambling behavior. If you or anyone you know have a gambling problem, or suspect may have a gambling problem please contact the National Council of Problem Gambling (http://www.ncpgambling.org) toll free at 1-800-522-4700. We welcome your thoughts at NYRA Bets! Contact us at https://www.nyrabets.com/#contact-us to reach out to us. We are always looking to make improvements to ensure the best experience for our customers. Let us know how we are doing by emailing us at info@NYRABets.com. Very happy with the interface and functionality of this app. 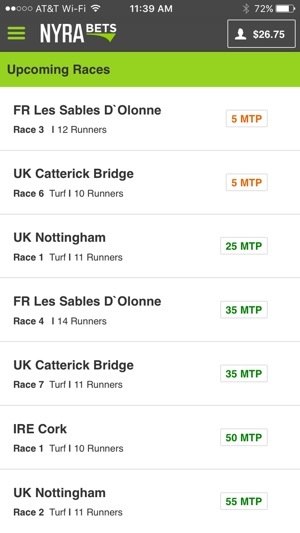 Finally can place bets in real time off track from my phone. 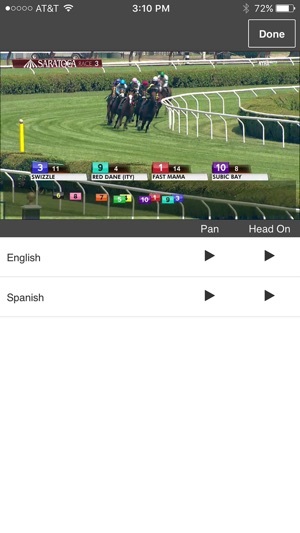 NYRA Bets finally came out with an app - and I'm so glad they did. Easy to use - gets the job done - love it.